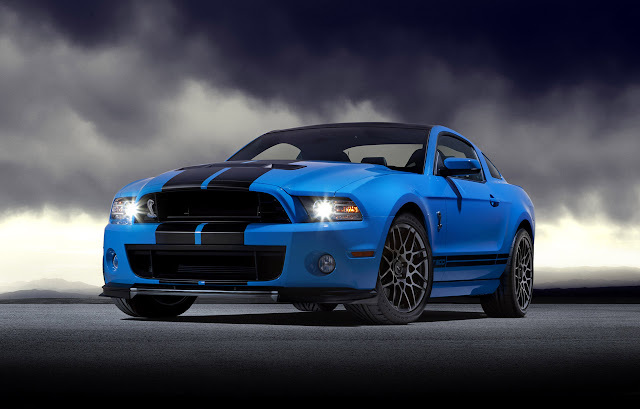 Brighton Ford : New 2013 Ford Shelby GT500 Packs 662 Horsepower And Better Fuel Economy!? New 2013 Ford Shelby GT500 Packs 662 Horsepower And Better Fuel Economy!? Ford has revealed details regarding the 2013 Ford Shelby GT500 and while it may not be a match for the recently unveiled Shelby 1000 its sure to be quite a head-turner, and a fast one at that. In fact, the supercharged 5.8-liter in the 2013 Ford Shelby GT500 has been officially certified as the most powerful production V8 in the world! So, all this newfound power will surely see the car's mpg taking a hit, right? Surprisingly, Ford says that's not the case. Even though this beast delivers 112 more horsepower than the 2012 GT500, fuel economy has actually increased by 1 mpg under both city and highway driving conditions. They've also revealed that the new Shelby gets 5 mpg more than Chevy's contender, the Camaro ZL1. "Our goal is to create outstanding all-around performance cars, not just stoplight-to-stoplight sprinters," said Jamal Hameedi, SVT chief engineer. "We've backed up this amazing powerplant with a more refined chassis tuning that helps keep the rubber on the pavement without punishing the driver's spine and six-pot Brembo brakes that dissipate speed with ease stop after stop." All that chassis tuning and stopping power is going to come in pretty handy, especially considering the 2013 GT500 will be more than capable of taking fearless drivers to speeds of "200 mph and beyond" without any further modifications. 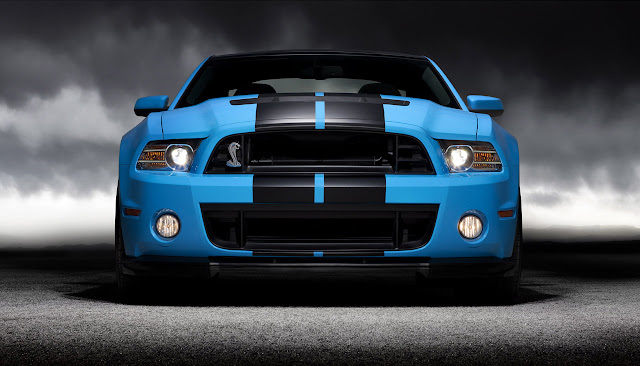 If you have any questions about the new 2013 Ford Shelby GT500 or anything else please feel free to Contact Us. We would be happy to field any questions you may have!